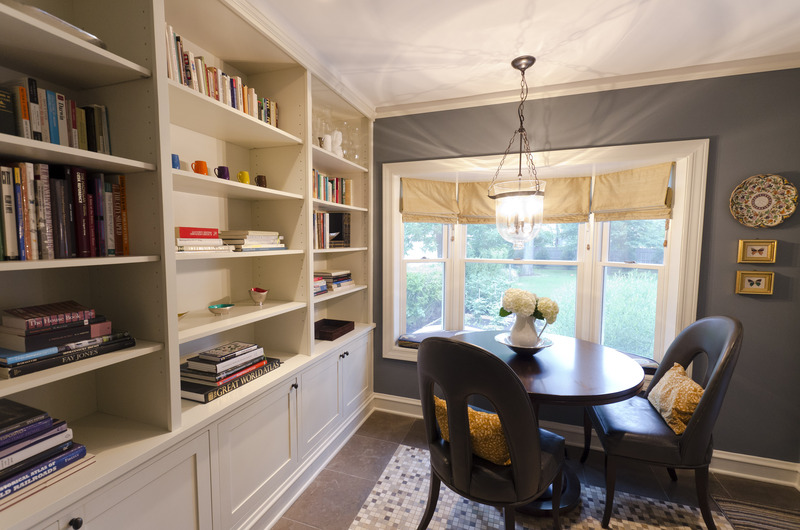 Custom built-in bookshelf and limestone mosaic tile floor. The round table is espresso-stained bamboo. The chairs from Oly Studio are upholstered in slate leather. The window seat is Massive Paisley fabric by Maharam. Custom roman shades are in a gold silk.